﻿Look guys. 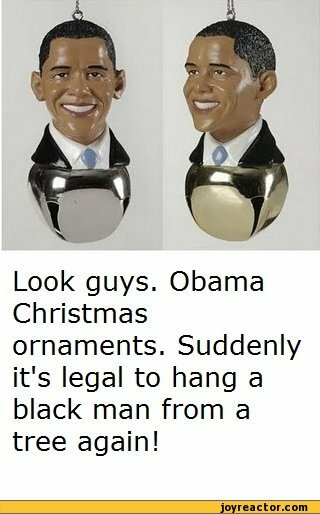 Obama Christmas ornaments. Suddenly it's legal to hang a black man from a tree again!